Arrow returns with new episodes this week! 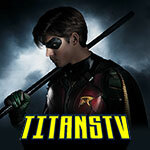 But before we get into the latter half of Season 5, here at GreenArrowTV we’ve gotten “the gang” back together to look back on Season 5 so far. It’s been a year since our last roundtable, so it’s good to be back! 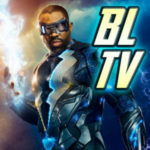 This time around we’ve got GATV webmaster Craig Byrne; Matt Tucker, who recaps and reviews Arrow when he’s able and is the driving force behind keeping DaredevilTV well up to date; Derek B. Gayle, our resident reviewer at FlashTVNews who also writes about Power Rangers and other things at KSiteTV; and GATV contributor and KSiteTV reviewer Stephanie Hall. This time we’re also joined by frequent GreenArrowTV commenter and poster at the KSiteTV Arrow forum as “BkWurm1,” Melissa Thompson. Arrow returns with “Who Are You?” Wednesday night, January 25 on The CW; if you want to see how we did these things before, past roundtable posts can be found here.